It’s a win for the Southern Territory as 50 new employees at Eglin Air Force Base in Northwest Florida just became our newest IAM Brothers and Sisters. T-Square is the name of the group which is a sub-contractor of Reliance, Test and Technology or RTT. That should have a familiar ring to Machinists as they are part of the Prime Contractors, a well known entity at the IAM. T-Square employees run the gamut in the type of work they do; from painting tanks and vehicle maintenance all the way to mechanic work and running live missions at the bombing range. Their work is second to none. Because of the IAM’s reputation at EAB, it made sense this team of workers turned to the Machinists when they needed a contract. “This group finally realized to keep what they have and to gain in benefits they would have to go Union and be protected under a Collective Bargaining Agreement,“ says IAM President/Directing Business Representative of District Lodge 75 Steve Pridgen. 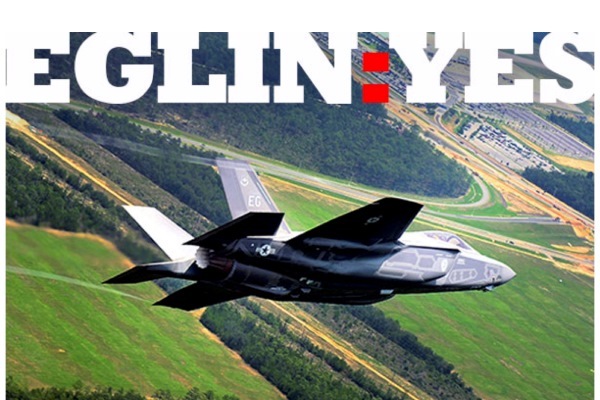 “The great thing about this campaign was that these employees knew the value of a union contract because we already have several great contracts with good pay and benefits on Eglin AFB,” says Mike Cooke, IAM District 75 Organizer. “They knew the only way they were going to change their situation working under the Service Contract Act was by unionizing with the IAM”. The IAMAW plans to continue their work in the Service Contract arena at EAB and around the country. Always making sure these unique groups of employees benefit from a strong IAM contract that protects them and their families.